Consumers should be aware that there is a symbol used by some manufacturers to indicate vegetarian or vegan status that is very similar to the OV kosher symbol used by the Vaad Hoeir of St. Louis. Any consumer who spots this and is in doubt as to the product’s kosher status should contact the OV, the Vaad Hoeir of St. Louis, by phone at 314-569-2770, x 10 or x12, or by email at chana@ovkosher.org. 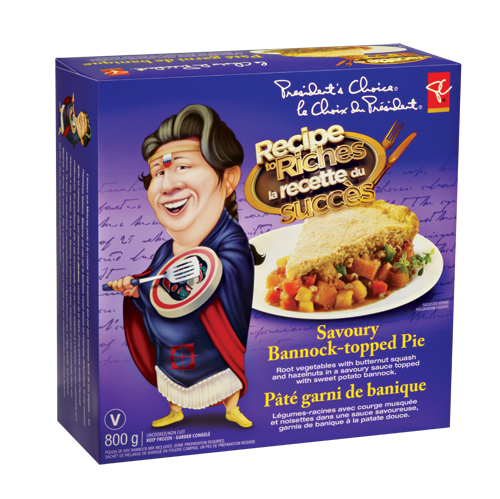 For example there is an OV symbol on President’s Choice Savory Bannock-Topped Pie which is not under the Vaad Hoeir of St. Louis’s our certification. Kosher consumers must be aware that this product is not under kosher certification.